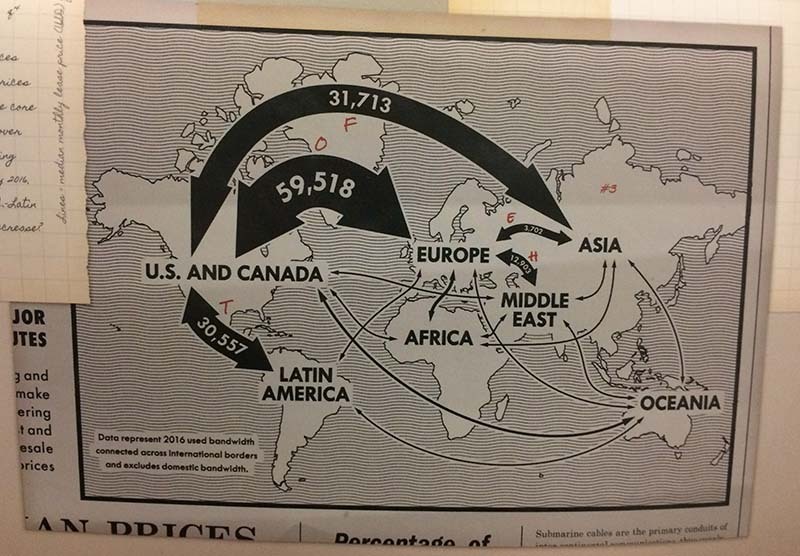 Some background: The author of this year’s map left readers a question in the bottom left corner of the map. Who am I? 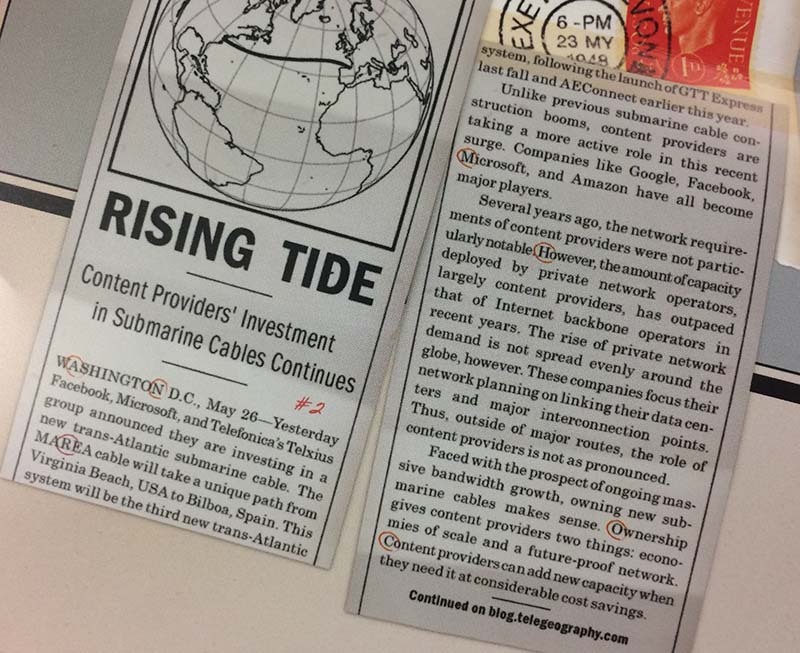 Savvy map readers will have noticed that the numbers beneath the question correspond to four smaller clues located on the newspaper clippings and notebook pages plastered around the edges of this year's design. 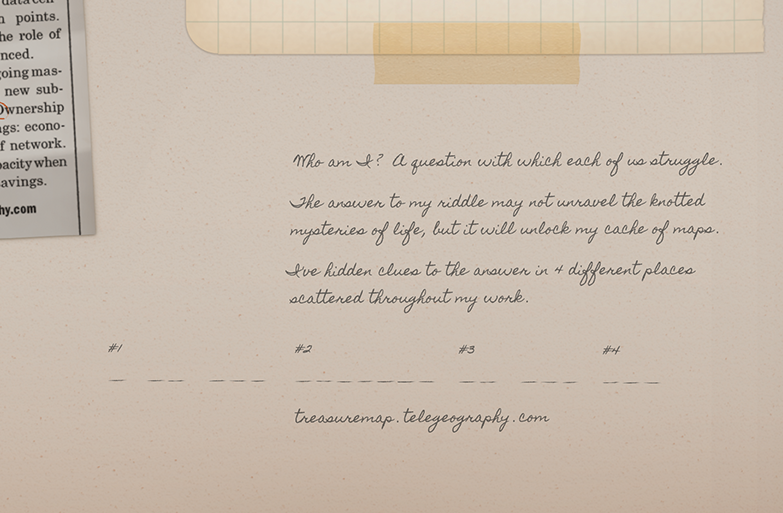 Clue 1: Notice the bolded letters at the beginning of each sentence? Pull them out and you have "I AM THE." Clue 3: If you look closely at our map, you'll see some more stray letters: "TOFEH." 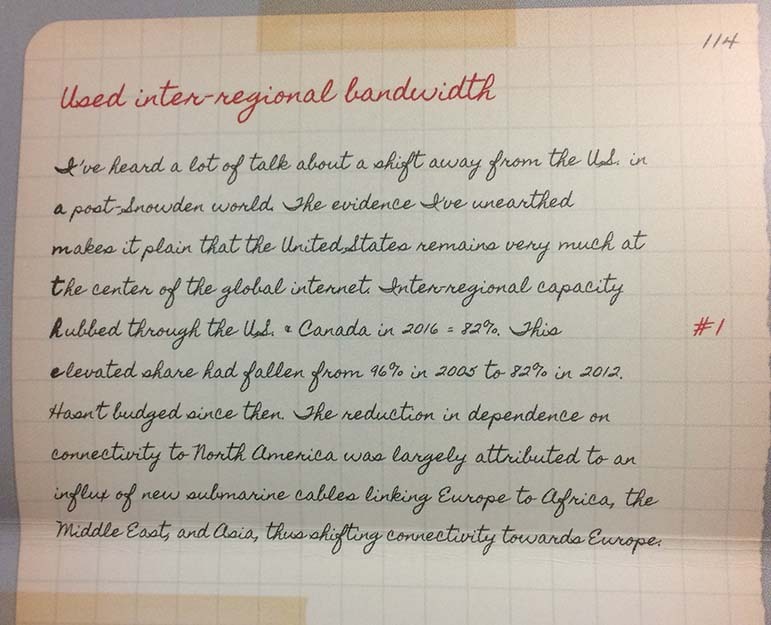 When you put them in order of interregional routes, from largest to smallest, we're left with the word "OF THE." Clue 4: Last, we have a bunch of ones and zeros. 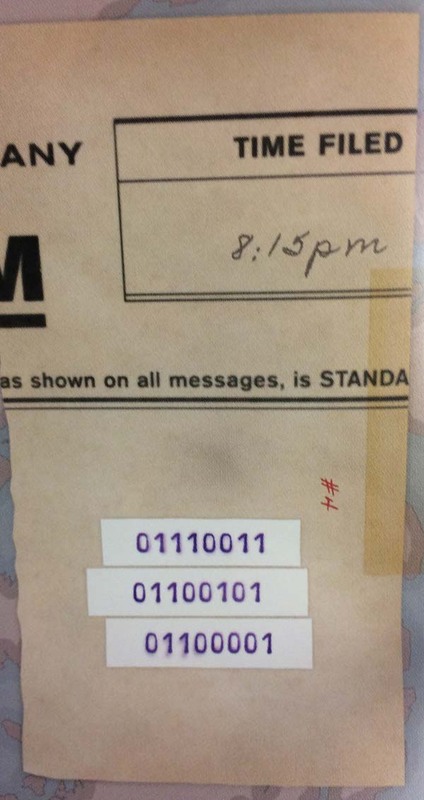 If you put these numbers into a binary code converter, you'll find they spell out the word "sea." If we put it all together, we have "I am the monarch of the sea." Perhaps a shout-out to the owner of this year's map? A professor of archaeology, expert on the occult, and how does one say it…obtainer of rare antiquities? A hidden gem for any Indiana Jones fan, to be sure. Five of the 153 super sleuths who figured it out have been randomly chosen to win a series of unique, vintage maps to adorn their walls. Thanks to all who played along; happy adventuring. 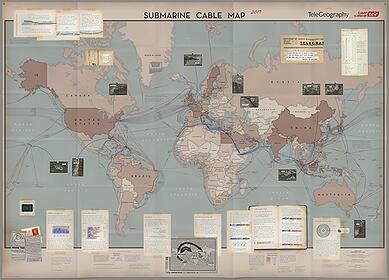 We still have a few 2017 submarine cable maps in stock. Flat versions are delivered rolled in a tube. (They're ideal for hanging on the wall.) Folded versions of the map are creased, delivered in an envelope, and easily transportable. Click the link below to make it yours.